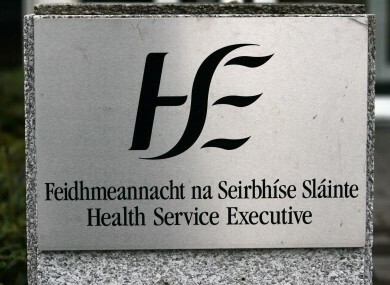 THE HSE HAS defended its decision not to publish two internal reports because they were advised by gardaí to allow due process to their investigations into the allegations. He said that it wouldn’t be fair to ask staff to step aside as they are entitled to due process. Morgan also said that a number of measures had been taken to prevent failures in cases such as Grace’s happening again, and said that he could ‘guarantee’ that if a complaint was made today, it would not end up in the hands of the subject of the complaint. Junior minister Finian McGrath has said that he is pushing for the publication of two HSE reviews into allegations of abuse at a foster home in the south east. McGrath was responding to the publication of a report yesterday that looks into two unpublished HSE reviews into the foster home, why they were not published and how they were carried out. Last year RTÉ‘s This Week revealed the story of Grace – a young woman with profound intellectual disabilities who was left in a foster home in the Waterford area for almost 20 years despite a succession of sexual abuse allegations. The case came to light on the back of protected disclosures made by officials within the HSE. A report carried out by senior counsel Conor Dignam found that the HSE had failed to investigate the foster home properly, and there were still aspects of the disclosures that had not been examined fully. Speaking this morning on RTÉ’s Morning Ireland, McGrath said that he had given the HSE two weeks to respond to the report. He also said it was his preference that the HSE reports into the foster home be made public. “My own personal choice at the moment is to get everything out there because I think Grace and her family and the whole disability sector deserve clear answers,” said McGrath. He also said the a full Commission of Investigation into the home – which was announced earlier this year – would be set up to examine the allegations without delay. Responding to calls to suspend HSE staff, he said no decisions on who was to blame for what happened to Grace and others would be made until the Commission was finished with its business. “What I need to do is get the terms of reference organised, set up the Commission of Inquiry and then look at the facts, look at the details and then make those decisions at the end of the process,” he said. He said the terms of reference would be brought to Cabinet “in a matter of weeks”. We will then go to the Dáil and kickstart the process for a full Commission of Inquiry. He said for the past number of months his department had been putting in place safeguards to help protect people in foster care at risk of abuse. “We’ve been acting on the Dignam recommendations over the summer period,” he said. Dignam stated in the report that the Commission of Investigation should look at all matters concerning Grace and why she was kept in the foster home for so long. As well as this, it should look into the care of all other people placed in the foster home in question, whether any of them suffered abuse and whether that abuse was known by the HSE. He said the Commission should also look at any allegations of a cover up in the HSE around the alleged abuse. In 1995 on the back of the claims around the foster home in question, the South Eastern Health Board decided not to place any further people in the home. However, a decision to remove Grace was overturned in 1996. As a result she stayed in the home until a whistleblower’s complaint in 2009. Conor Dignam’s report was first commissioned 16 months ago, and after a series of delays was published yesterday. It identified a number of failings on the part of the HSE reviews into care at the foster home. The first review was carried out in 2012 by Conal Devine and the second in 2014 by Resilience Ireland. The 300-page report published yesterday looked at various aspects of the two reviews. As Dignam notes he did not have the power to compel people to provide him with documents he needed. clear, distinct advantage,” he said. Dignam said he also didn’t interview a number of people who may have had relevant information surrounding the homes as this would have fallen outside the terms of reference of his report. The report identified failings in a number of areas around how the HSE handled the case of the foster home abuse allegations. It said that the focus in the terms of reference in the Conall report around solely Grace’s case, meant that other allegations of abuse were not properly looked into at time. The report found that some of these allegations have still not been properly investigated. “I wish to make it absolutely clear that there is no evidence in the documentation that has been provided to me to suggest that focusing on Grace’s case was a deliberate action to avoid investigation of these other matters,” the report reads. But it states that the focus on solely Grace was “unfortunate and it meant that serious issues were not investigated as soon and as quickly as possible and that other serious issues have not yet been investigated”. Dignam also found that the HSE did not follow its own procurement policies when it commissioned the reports into the foster home. Dignam also said that “it was difficult to see” how the publication of the reports would interfere with a criminal trial, and that whether to publish them was “a balancing act” between any future prosecutions and the public interest of publishing them. The HSE apologised again last night to Grace and her family for the failings in her care. It said that the “key benefit” of Dignam’s report was in the eight recommendations it laid out. These have to do with addressing issues around procurement as well as making sure that reviews of HSE services are not carried out by a team involving anyone who has a senior role in that HSE area. Other recommendations include making sure that terms of references of investigations are “clear and unambiguous” and that the HSE establish a protocol to liaise with gardaí over whether it should publish reports or not. Email “HSE didn't publish reports into foster care abuse claims under garda advice”. Feedback on “HSE didn't publish reports into foster care abuse claims under garda advice”.